I have just found out that there will be a film coming out this month (at the moment it's set for the 25th November 2011) about the infamous Marilyn Monroe. I myself find her and her life story fascinating and am thoroughly looking forward to seeing the film. From what I have read, the film will not be focused on Ms. Monroe's life in general, but a specific time-frame to include a man named Colin Clark; an assistant on the film 'The Prince and the Showgirl' that she starred in alongside Laurence Olivier. At the time Marilyn was also on honeymoon with her new husband Arthur Miller. 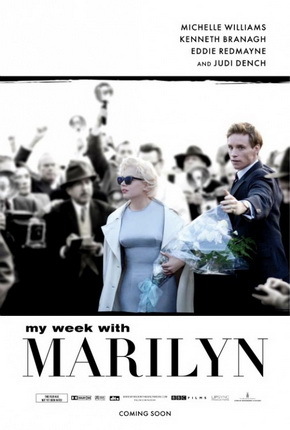 Colin Clark kept a diary of this time and 40 years later this diary was published - but one week was missing and was published years later as 'My Week with Marilyn'....the film that we will watch! Sounds veeeery interesting! The official website for the film is HERE if you'd like to have a gander! Would this be of interest to many of you! ?